By choosing us for your future tree surgery requirements you can feel confident that your trees and property are in safe hands. We do tree surgery, tree felling, or tree removal, ground reduction ground thinning, site clearance, head cutting, hedge trimming, stump removal and tree planting. 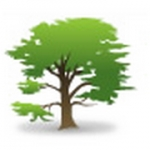 We can provide our tree care services commercially as well domestically. All Tree Surgeon works are carried out to BS3998 standard and are fully insured for Employers and Public Liability. All types of tree surgery undertaken commercial and private, felling, pruning,hedge maintenance. Very poor service, job only half done. Neville did our first tree cut quite well On that basis we agreed for him to do some more work. Unfortunately he only completed half the job - paid him for a whole day and he left mid morning. He then got very aggressive on the phone when we asked him to complete the work. We were charged a very high price for a very poor quality of service. We paid Neville to prune our tree, but he only did half of it and then refused to return. Do not use him. Neville started off well, but soon turned into being demanding & aggressive. We unfortunately paid him before he finished, to help him out, but he then never returned, despite promising to. I would never use him again. The poorest quality worker, I've ever dealt with in 35 years.